I’m looking out of my window into the blackness of the Swedish afternoon. It’s not even 4pm yet, and the weak rays of light that illuminated the day have long gone. It’s like somebody literally turned off the light on their way out. This is November in Sweden – one of the darkest times of the year in Sweden. The night blanket roles in over the country mid afternoon and keeps its grip until mid morning the next day. Far up in the north of Sweden, the sun barely peeks over the horizon. It can be a challenging time for those of us who live here – this period before the snow and the Christmas decorations light up the streets and windows. Since language develops to describe our environments, it makes sense that in Swedish there are many words to describe the darkness. Native Swedes can instinctively feel the difference between these words, but those of us who have Swedish as a second language have to resort to a dictionary to understand the nuances. The word ‘svart’ is ‘black’ in Swedish. And there are several types of black – there’s ‘becksvart’ (pitch black), ‘korpsvart’ and ‘ramsvart’ (raven black) and there’s ‘kolsvart’ (coal black). I’m sure there are more, please let me know if you have any others. But there are also lots of other words that describe the darkness. I’ve tried my best to translate some of these below. With all these words in their vocabulary, some people complain about the darkness. And who can really blame them? It is a tough period to get through. The darkness can go a long way towards explaining the stereotypical Swedish melancholy. So how to survive it? Maybe it’s about shifting perspective? It is better to light a candle than to curse the darkness! Thankfully, it isn’t every day that you are faced with death. It is isn’t every day we contemplate our own mortality. Probably a good thing. Imagine what life would be like if we thought about death all the time. But this weekend is an opportunity to do just that. Tomorrow is All Saints’ Eve. Well, not technically. All Saints’ Eve is actually October 31st. But in Sweden, they are practical and, since 1953, they round it up to the nearest weekend and call it a public holiday. Legislation aside, tomorrow is the day in Sweden when people reflect over life, death and those who have passed away. It is a peaceful time. It is a beautiful time. 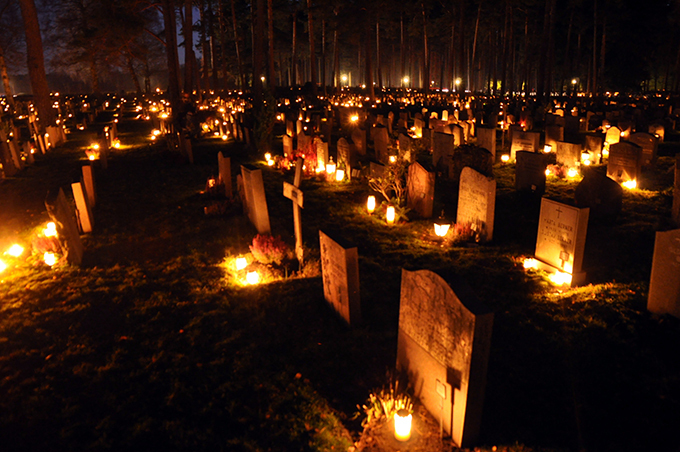 Graveyards around the country twinkle with candle light. Relatives flock to the burial grounds and light candles and lanterns and place them by the graves of their loved ones. It is a miraculous sight to see the dark cemetries twinkling and glowing with bright white lights. It brings scerenity and majesty to an otherwise intensive and dark time of the year. On Österlen in the rural south of Sweden, they have taken it a step further. A festival called ‘Österlen Lyser’ – Österlen shines – happens this weekend. The dark villages and fields are lit up with candles, flares, lanterns and torches. People play lantern-illuminated night time boule by the edge of the sea. Choirs sing, windows glow and open bonfires celebrate this dark time of the year. It isn’t every day that you are faced with death. Full respect to Halloween, which is also taking hold in Sweden, but I don’t need to be reminded of witches, vampires and zombies. The less commercial traditional Swedish approach provides a more reflective vehicle for us to contemplate our own mortality and remember those we loved. 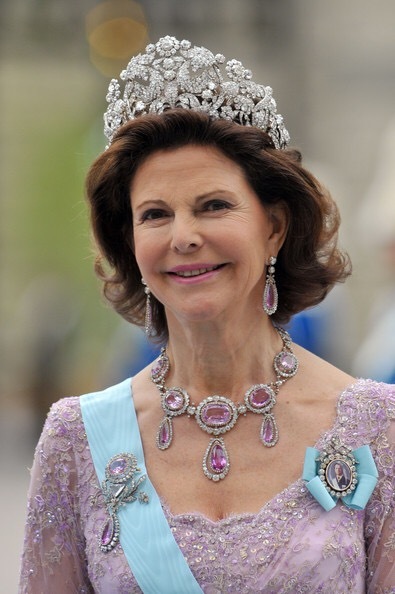 A month or so ago, I bought a little model of Sweden’s Queen Silvia. Brandishing a handbag which encloses a solar panel, the energy from the sun is supposed to make her wave She’s been standing on my window ledge for a while now in direct light. But for the last few days, that queen isn’t waving. Her hand remains still. Royally poised. But nothing happens. Nothing. Nada. Zero. Zilch. Ingenting. It’s a clear indication of the lack of sunlight we’ve had in Stockholm recently. So little that the queen herself protests.